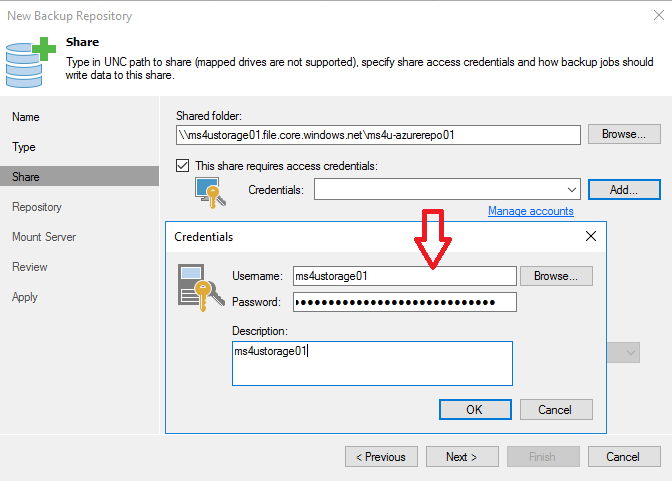 In this post, we continue our test on using Azure Files to use as Veeam Backup Repository. 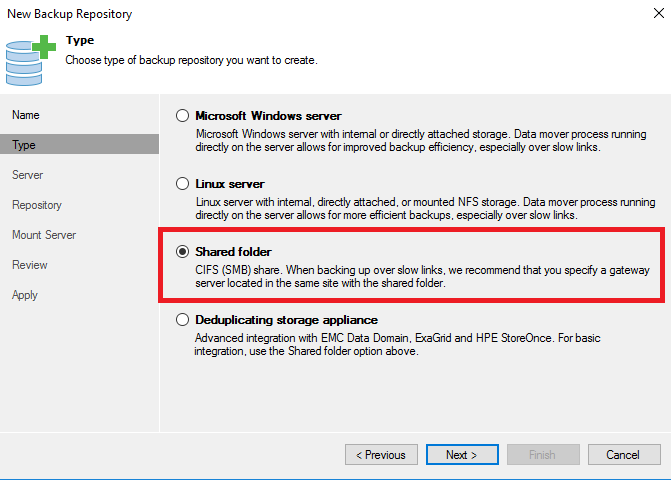 Veeam repository is a storage location used by Veeam Backup & Replication job to store backup files, copies of VMs and metadata for replicated VMs. How to Create Azure Files? Next step, is use Azure Files as Veeam Backup Repository on Microsoft Azure VM. 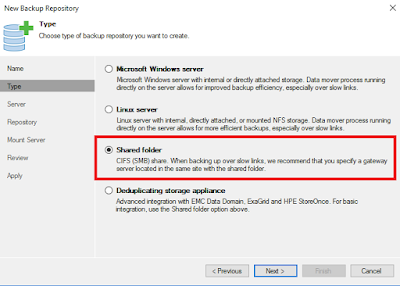 Using Veeam Console, add New Backup Repository and select Shared Folder. 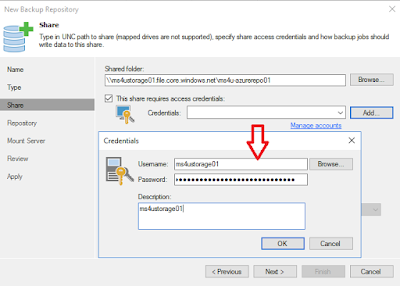 Here is command if you plan to use mount shared folder. We are going to take some value for our next step. We added three (3) Azure File. Each will have 5TB size.